Apple CEO Tim Cook addresses the audience at the ongoing China Development Forum in Beijing on Saturday. With China dedicated to greater opening-up for win-win cooperation, top executives of foreign companies have praised the nation for further expanding access to its enormous domestic market, and expressed optimism toward closer partnerships in the country. 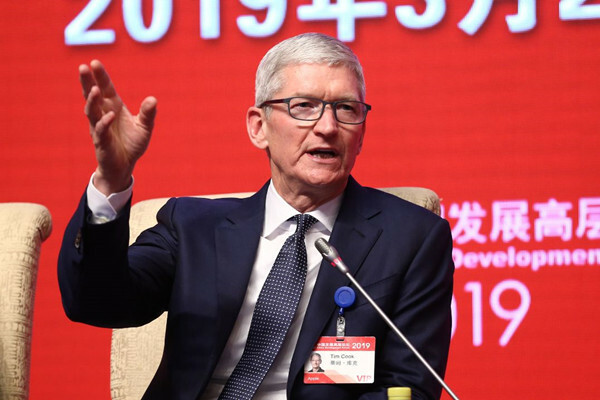 Speaking on Saturday at the ongoing China Development Forum in Beijing, Tim Cook, CEO of Apple Inc, said openness is essential in forming partnerships, and thanked China for opening its domestic market to his company. "One of the key elements of partnership is openness - being open to working together, open to new ideas, open to new solutions. We have seen China continue to change and evolve, and we are grateful that you have opened your doors and allowed us to be a part of the community here," he said. Quoting a Chinese saying - "The fire burns higher when everyone brings wood" - Cook called for increased joint efforts from governments, educational institutions and businesses to address challenges such as poverty, inequality and climate change. "We encourage China to continue to open up. We see that as essential - not only for China to reach its full potential, but for the global economy as a whole to thrive," he said. Cook's comments come as China steps up efforts to create a level playing field and a world-class business environment for all players. Last year, the country announced a string of policies to remove the cap on overseas ownership of joint ventures in the automotive and other sectors. Earlier this month, the Foreign Investment Law - aimed at better protecting the rights of foreign investors - was approved. It is scheduled to take effect on Jan 1. Dieter Zetsche, chairman of German automaker Daimler AG, said: "Over the years, I've witnessed great development and changes in China's society, economy and, of course, in its automotive industry. This is a reflection of the great achievements China has made since reform and opening-up started." He added that the country boasts his company's youngest customer base, which is very open to new ideas and innovative technologies. Zetsche said Daimler remains confident in and committed to the long-term development of China's economy. "We will continue to help shape the transformation of mobility in the country," he said. Also on Saturday, Han Wenxiu, an official at the Central Financial and Economic Affairs Commission, highlighted China's determination to make the economic pie bigger and to share it better through openness and cooperation, instead of pursuing a zero-sum game. The country will continue to shorten the negative list to open up more sectors and ensure national treatment for foreign investors, and will step up legal protection of intellectual property rights and punishments for infringements, Han added. Sanjay Mehrotra, president and CEO of Micron Technology Inc, a memory-chip giant from the United States, said he was very pleased to see the efforts China has made to better protect foreign investments and intellectual property rights. "This is very encouraging for China and for the whole world," he said. "Innovation is encouraged and unleashed when there is an open market and free trade and intellectual property is respected." He added that China has tremendous opportunities in the fields of artificial intelligence and fifth-generation wireless technology because the country has the right skills and a large market of new solutions that can be subject to experiments among the large population and fine-tuned on an ongoing basis. 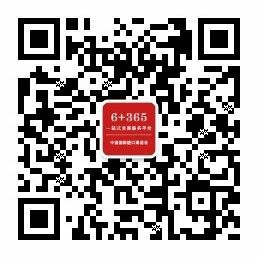 In addition to consumer-oriented companies that have benefited from reform and opening-up in the past four decades, foreign businesses that serve Chinese companies are also seeing big opportunities as a result of China's efforts to shorten the negative list and open more sectors to foreign capital. Martin Lundstedt, president and CEO of Volvo Group, said all the developments provide foreign companies with more choices when investing in China. Having been in China for more than 20 years, the Swedish manufacturer of vehicles, engines and construction equipment hopes to better tap into the country's booming e-commerce sector, and sees more opportunities resulting from the government's growing emphasis on green initiatives, sustainable development and innovation, he added.